Burnaby Lyric Opera is an opera production company located in the Shadbolt Centre for the Arts in Burnaby, BC. 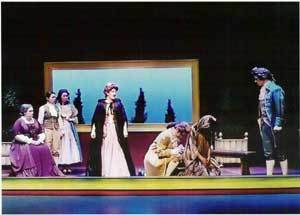 All operas are performed in English and are popular and accessible. The performers are serious about their craft. 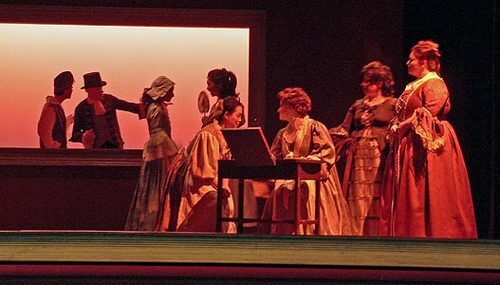 Burnaby Lyric Opera features emerging professional and semi-professional opera singers in leading roles, and provides student performers with the opportunity to sing in the chorus and acquire experience on the operatic stage. The Marriage of Figaro is one of the monumental achievements of the opera stage. Combining complex and original characterizations with exquisite music, five or six of the songs in this single work have become age-spanning classics of the repertoire. Mozart clearly needs no help from me in searching for a visual metaphor, changing the time or the place of the action seemed unnecessary, as did bending it into another narrative genre.